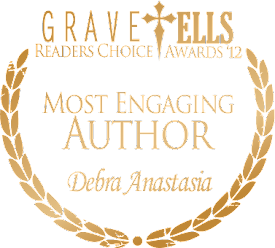 DebraAnastasia: Embrace Release Blog Party! 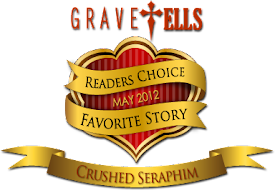 When I was writing Poughkeepsie, I was lucky enough to get feedback from readers. Some really connected with the story, letting it become part of their imaginations and sometimes, their souls. 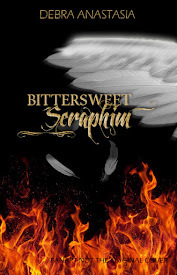 I’ve never cried as much as when I wrote this story, so when a reader can somehow feel the emotion and love put behind the words, that’s a success for me. The readers below did something amazing. They actually got the tattoo that the brothers and Mouse have in the book on their bodies! They put the tattoo right where it belonged, on their arms. Today, I’m celebrating my friend and fellow author Cherie Colyer’s release of her book titled Embrace. I needed to write an Embrace themed-post and I couldn’t get the picture of the girl’s forearms out of my mind. They embraced my book, but more importantly, they literally embrace people with an image from Poughkeepsie. So I asked if I could interview them, and they graciously accepted. Below you will get to meet Nise, Patti, and Alicia and found out a little about them. 1) You must be an exceptionally sensitive souls to allow words to so thoroughly touch you! 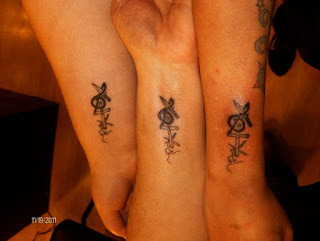 What does your new tattoo signify for you? ~Nise- Well, for starters, I didn't just jump into it. I fell in love with the temporary tattoos you sent us, especially the one that included Mouse. Mouse is probably my favorite character. I love Blake, but Mouse was so selfless... Is snot-sobbed when we had to let him go. When the girls decided that they were going to do it (they had another very special tatt done that day to signify their special sisterly relationship that, ironically, started at two days old in a hospital nursery on 4-29-87, 22 years to the day you published Pough) I had already decided I was going to do it as well, but not necessarily that day. As the clock ticked and I sat there and thought about it and thought about it... yeah. I was the last one in the chair, but when I saw the girl's, I couldn't leave without it. 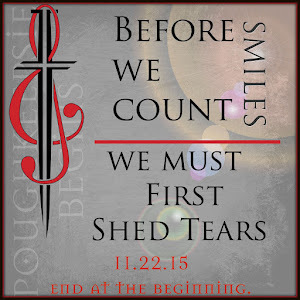 I have been telling anyone who will listen, about Pough, from the day I read the first chapter. Poughkeepsie and my beloved friend, MTK (yeah, I still call you that) came into my life at a very sad, dark time for us. It was (you were someone) something I could count on for a tiny bit of normalcy or consistency when the rest of my life was in chaos. I came to really connect with your characters, and having this tattoo is a tangible expression of what I've been telling my friends and family about this story from the very first days. When someone sees it, they want to know what a dagger, a cross, a G clef and 'are those knitting needles?' have in common and why in the world are they on my wrist... I, in turn, get to tell them about Poughkeepsie. It's pretty much putting on the outside, what's been on the inside all this time. ~Pat~ Getting the poughkeepsie tattoo wasn’t an easy decision to make, but I will never regret it and I adore it. When Pough was being updated it came at a time where I was living my life by the day and treasured my sleep when I had the chance to shut my eyes. My nights were filled with caring for my elderly grandparents, the only thing I had to keep myself awake was reading, and it became my own lil refuge. When Pough would update my mom (Nise) would stop everything (including the payroll) just to read an update and would rave about how wonderful the chapter was and told me how I needed to read it. I would say that I would once it was finished, when I could read the whole thing at once. When I was about to start Poughkeepsie was not available. :-( Alicia was lucky enough to read the unpublished version before. When the temp tats came she saw them and had to have it done. I didn’t know that I was getting the Pough tat until the book came out, 2 days before going to the tattoo parlor. I fell in love and was kicking myself for not reading it sooner. 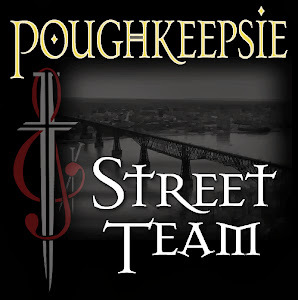 The Poughkeepsie tattoo to me is more of a reminder of where I was mentally; the life I was living, and that I dropped everything to take care of my family that needed it because there was nobody else. ~Alicia~ Strength and Courage. Love can be so strong that it can see through the imperfections we all have. It's the courage to stand up and shout out to the world that no matter what or who you are, love will conquer. 2) What are your favorite things to Embrace? ~Nise- My family- I couldn't get through one day without them. My friends- I can't live without them either. My fur babies- they never ever turn me away, they never get angry, and they are always... always happy to see me. ~Pat~ Aside from the typical friends family and pets that my mom already mentioned I embrace music. It is such a big part of my life and it’s hard to function on a daily basis without it. ~Alicia~ My life. It's a blessing to wake up every morning and see my son smiling. My family, they mean the world to me. My friendship with Patti and Denise. If I didn't have them I don't think that I could survive outside of my house. They are my saviors. They mean the world to me. 3) Tell me about your tattoo parlor experience. I’m considering one myself (go Pough!) so I’d love to know how it went? ~nise- Okay, I'm an admitted needle-phobe, so this didn't come without a LOT of consideration. But, that being said, it wasn't nearly as bad as I anticipated. You should so do it. Because we all know these characters are such a huge part of your soul too. ~Pat~ Pough is my 3rd tattoo. So, I know and trust the artist that was doing the artwork. My 1st tattoo, a lion with a butterfly on his nose was done at the artist's home. After searching for an artist to do my custom tattoo Alicia told me I needed to meet Moon. After meeting him and seeing his work I knew he was the artist I wanted to work with. Not knowing what to expect though was nerve racking. However, once the needle touched my skin I was fine, with the sensation of scratching a sunburn it was more annoying than anything. With Pough being such a simple tattoo it was only 30 minutes before it was done, unlike the two and a half hours it took for the first. All of my tattoos have a special meaning to them. The lion, fierce yet gentle, is for a person that has touched my life when I was hard to do more than function. The lion is my inspiration. The scroll of parchment with delicate ink is for my twin (BFF) Alicia I know she will always have my back no matter what, like Blake, Cole, & Beckett. 4) How does it feel to be so freaking awesome? ~nise- (Looks around)Awesome? Who? Not me. I'm just an ordinary girl, living an ordinary life. ~Pat~ Me? Awesome? I don’t think I am but I'm sure different people will argue with me on that point... or agree. ~Alicia~ It feels awesome. Just to have the opportunity to have the tat is just incredible. To see peoples reaction to it makes me so proud. I am grateful to you for giving us the chance to have a piece of Pough with us forever. 5) What is your favorite song, color, and holiday? ~nise- Fav song- Definitely What a Wonderful World with Louie Armstrong on vocals. That song pretty much says it all. Color- I'm an artist, so I tend to think very visually, I love all colors, I'm an earthy kind of person though. I love the autumn palette- oranges, browns, golds... Holiday- Christmas, always Christmas. ~Pat~ Fav song would have to be Never Let Go by Hanson its an unreleased song but it can be found on youtube. Fav color is Green, just about any shade of green as long as it isn’t neon... Fav holiday is Christmas. I have ADD so... everything is so bright, shiny and eye catching I love it... j/k It's the only time of year that the entire family gets together for a good reason... even though we may want to kill each other from all the stress. ~Alicia~Oh so many to choose from, I think my favorite song would have to be "Avenged Sevenfold's So Far Away" it is just an amazing song that touches every aspect of life. Favorite Color, PINK! I am a pink fanatic! Holiday would have to be Christmas. I love to see my son's eyes light up when he see's that Santa brought him presents. It's an amazing sight and feeling. Here are some pictures that ‘Nise took and her explanations. The steeple amidst the autumn foliage... I really love the architecture of this church too, and it's an old friend of sorts... as a nursing student, we watched that clock out the window during clinic, because if we got caught watching the clock on the wall, we had to stay late. Wonder if the instructor ever figured it out. But seriously, the autumn foliage in that pic reminds me of Pough... the autumn palette you used on that first blogspot all those years ago, and the strains of A Drop In The Ocean as the page loaded. Those things are Poughkeepsie to me. I immediately think of Pough anytime I hear Ron's voice. Finally, the cooler... After I made the Pough letters in nature, as I was cleaning up, I needed something to carry everything outside in and inspiration struck. I always loved that part of the story. He spent his day finding a way to repay the favor in the only way he could, and she almost missed it... almost. I have a hubby who works in the forest, some days he's Smokey Bear (for reals) I can't tell you how many interesting things have come out of his lunch cooler at the end of the day. I loved the cooler tale. It was sort of personal for me in that way. So that's my three very sweet readers. They embrace things like champions and I'm proud of each of them. Please check out all the Embrace excitement below! Even a copy of her book and bracelets! Congrats, Cherie! Have an amazing release day. Embrace Launch Party Guest Posts! 1) Leave a comment here or at any of the Party Posts. 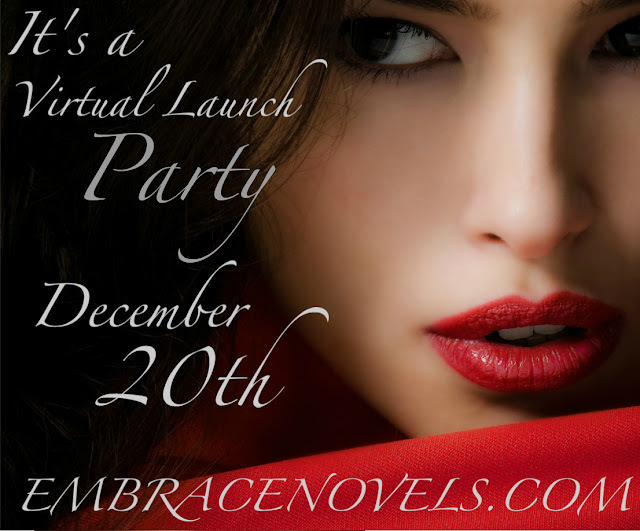 3) Facebook (tag Cherie Colyer, author) about the Virtual Party. Do all three and you will have three times the chances to win! Leave a comment at each stop of the tour for a chance to win the Grand Prize. If you haven’t already, remember to stop back by Cherie’s blog or click here to fill out the form to ensure your entry is counted. This is an amazing post. The tattoos are awesome. And it was fun to learn about your friends. Thanks for being a stop on my book launch and for writing a beautiful post on embracing change. I cannot imagine anything cooler than having people love your book enough to get a tattoo! So cool, and what a clever idea to do the interview. It was fun reading their answers and "hearing" them play off each other. @Mina Aren't they awesome. Thanks for dropping by. @Cherie I can't wait to read Embrace! @Nicki I did too. They are an amazing group of ladies. And so brave! I'm still trying to get up the courage. Thanks for reading! Wow, that's great support by your readers! Obviously the story touched them. Embrace looks awesome. 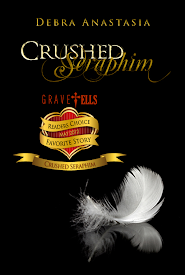 Congrats to Cherie on the new release! #4 in this interview touched me to most. It is so important for readers to reach out and share with the author and it sounds like these three special ladies completely understood the message in Poughkeepsie. :) Beautiful.